The Innovation Masterclass is free of charge and will provide you with a range of tools and techniques that will help you to think more creatively and innovatively about your business. We like to think we're a creative bunch here at Partners, but we're always keen to improve and learn new creativity techniques. It's the same in business - those businesses that are innovative and creative, with new product/service developments and innovative ways of growing their business are the ones that succeed and grow. 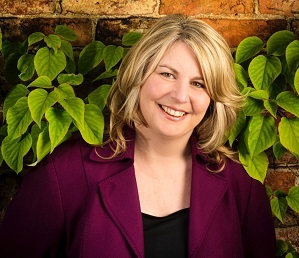 With this in mind - and to help your business grow - we’ve teamed up with Dr Jo North (pictured) from the Big Bang Partnership to host an Idea Time Innovation Masterclass on Monday 30th April, at Blacks Solicitors in Leeds, and would love for you to join us. Learn how to have more, even better ideas to sharpen your performance. Get more creativity and innovation from others, and influence more effectively. Create a high-level plan to help you move forward and achieve your goals. Attaining fast-paced growth through an even higher performing team. Delivery of challenging projects on time and on budget whilst meeting the diverse needs of a varied client group. Registration, tea, coffee and networking from 3.30pm Monday 30th April. The Masterclass will commence at 4.00pm. Please book your place no later than 23rd April 2017.